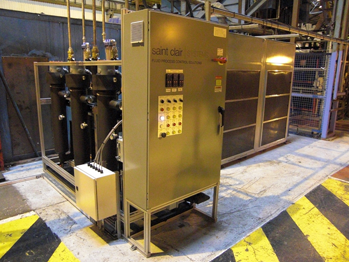 Sized to seamlessly provide the required heating and cooling to achieve and maintain a +/-1F material temperature at the point of dispense, a Saint Clair Systems temperature control unit (TCU) is a totally self-contained, balanced and closed loop fluid process control system. Expandable by controller to communicate to any line configuration, our proprietary thermal sizing tools ensure that the capacity of our temperature control unit is just right. 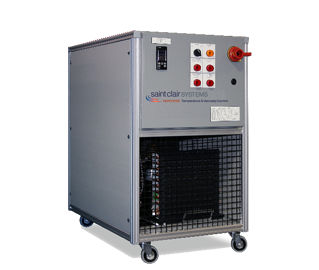 With a Saint Clair Systems TCU, your coating or finishing process will achieve the efficiency and durability you need to deliver quality finished products at a cost-effective margin. Simple, balanced and efficient, these self-contained, closed-loop systems require neither additional plumbing nor an external water source. The heat-cool systems contain a water reservoir that circulates through the chiller. The process water circulates through the immersion heater. For systems that do not see significant swings in ambient temperature, but benefit from accurate temperature control, our thermoelectric systems offer an efficient and affordable option. The device contains a Peltier chip. When an electric current runs through the chip, one side gets hot and the other side gets cold. Reversing the current also reverses the temperature performance. 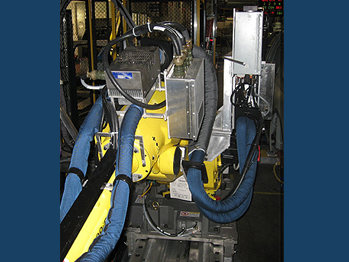 For 25 years, Saint Clair Systems has created solutions for many types of applications and in many different industries. 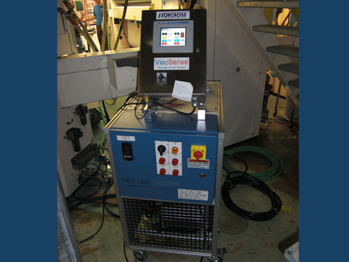 The compact, efficient, and economical AT-5900 is used in a variety of applications and offers an easy-to-use upgrade to many dispensing systems. Available in either a single or dual version. 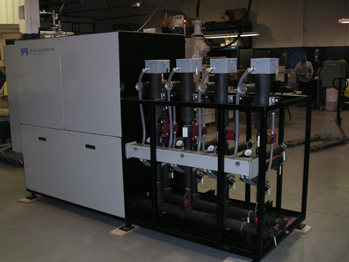 Enough heating and cooling capacity for many medium flow applications. Interfaces easily with host controller systems and requires very little setup. 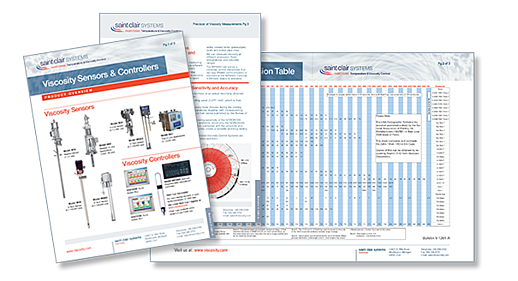 When dispensing applications contain a large variety of options (as in a multi-color paint system), our solutions can provide temperature control for each circuit. This unit is capable of controlling up to nine unique circuits. 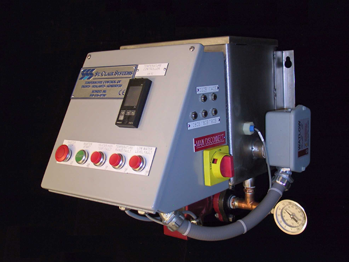 Different from a traditional air heater, these units recirculate heated water to a heat exchanger mounted close to the source of the icing or condensation. Traditional air heaters use air to transfer heat from outside of the booth to the bell. As air is a poor medium for heat transfer, these traditional air heaters are largely ineffective. These free-standing modules provide independent and complete temperature control and are capable of maintaining continuous heat/cool transitions.